Raken provides innovative mobile technology to streamline field workflows for construction workers. Raken's "digital toolbox" connects the field to the office with daily reports, time cards, project insights, photo management, and more. 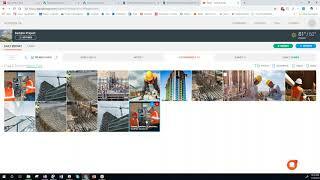 With the Autodesk® BIM360® integration, all daily reports/photos/files captured within Raken are automatically synced into the BIM 360 Project Files folder. The user simply has to enable the integration from BIM360 settings, log in to Raken, and enable/authenticate the connection from our integrations page. With the integration, the user can leverage Raken to capture dailies, time cards, photos, etc and use BIM 360 for all other workflows such as RFI's, submittals, change orders, drawings, etc.